It’s summer fair time again and I’m really looking forward to Whitburn’s family fun day which is going to be held in Cornthwaite Park on Saturday 29th June 2013 between 12 and 4pm. There’s going to be lots of activities (climbing walls and bouncy castles! ), funfair rides, stalls, music and refreshments to entertain all the family – including Sparkles Sand Art who’ll help your little ones to make some fantastic keepsake sand pictures and ornamental bottles (might have to try doing one myself!). I’ll be popping along for the day too and having a stall of my very own! There’ll be a big variety of colourful and lovingly handmade safety cat collars, as well as some of the goodies I mentioned in my last post about cat toys and a photo album with all my lovely cat pictures and my testimonials. Please do stop by if you’re in the area and say hello 🙂 And everyone pray for lovely weather! 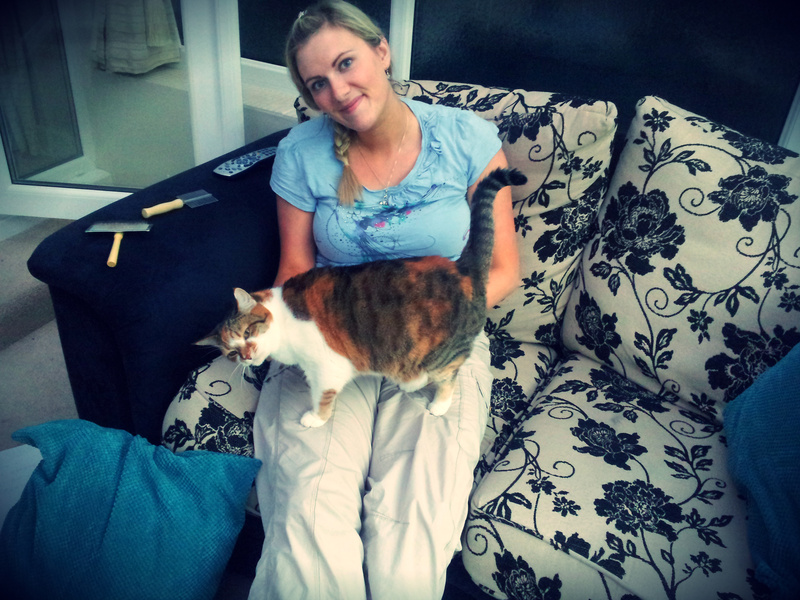 Behind the scenes of a South Shields pet sitter! Whitburn Whiskers is a happily married pet sitting team looking after furry friends all over South Shields and Sunderland. Your pets may have heard about us via the twilight bark (a reference for the Disney lovers out there!) 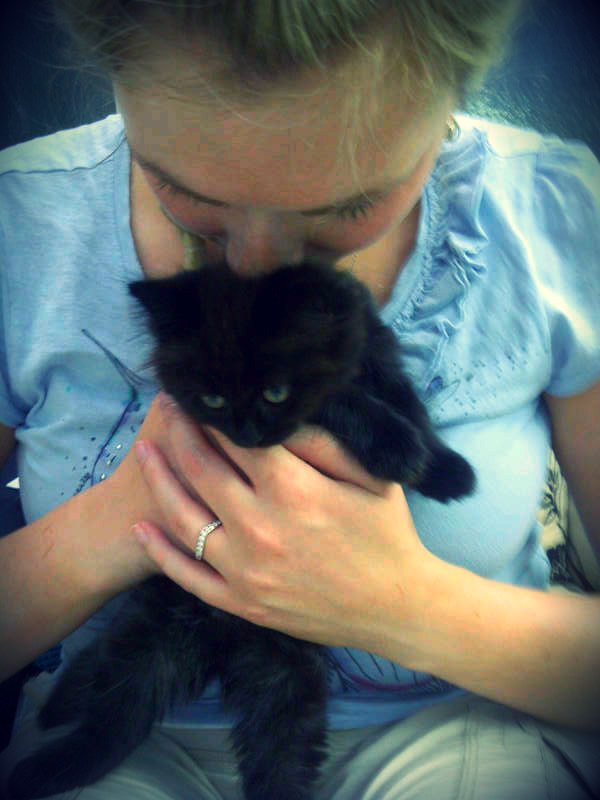 but for most of our local clients, pet sitting was something completely new to them. It had been the first time they’d considered inviting someone into their home and trusting them with their littlest family members. I’ve been told it can be a little daunting – after all, you’re handing over your house keys and putting a lot of faith into a stranger. The hope, at the end of my first meeting with a new pet parent, is that I’ve babbled on so much about myself that I’ve hopefully won you over is that you’ll see that I love and am dedicated to my job, and will do my very best to make sure that both you and your pets are happy when it’s time for you to be apart. With that in mind, I’ve given some thought to the questions I’m asked the most by new clients. Newbies are genuinely interested in how Whitburn Whiskers started – or “What a fantastic job! Looking after cats all day?! How did that all happen?” Well! I graduated from Newcastle University in 2009 and set out to conquer the world (well, I got an office job in Sunderland) but I took to it quite happily. Later that year Mr Whitburn Whiskers and I managed to buy our first home while he was working in Iraq doing private security (eek). One horribly worrying year later, I realised that I was never destined to be a corporate suit. I decided to concentrate on doing something meaningful (in denim) and hopefully something that would make me happy and a little less lonely when Mr Whiskers was away. What could be better than being with animals and meetings lots of brilliant new people. I’ve always looked after relatives’ and friends’ pets and had quite a little following going already but taking the plunge professionally was a great feeling. I’m still genuinely excited to meet new pets and love hearing owners talk about their furry friends and hear funny stories. I’ve never had a job that I’ve enjoyed so much. 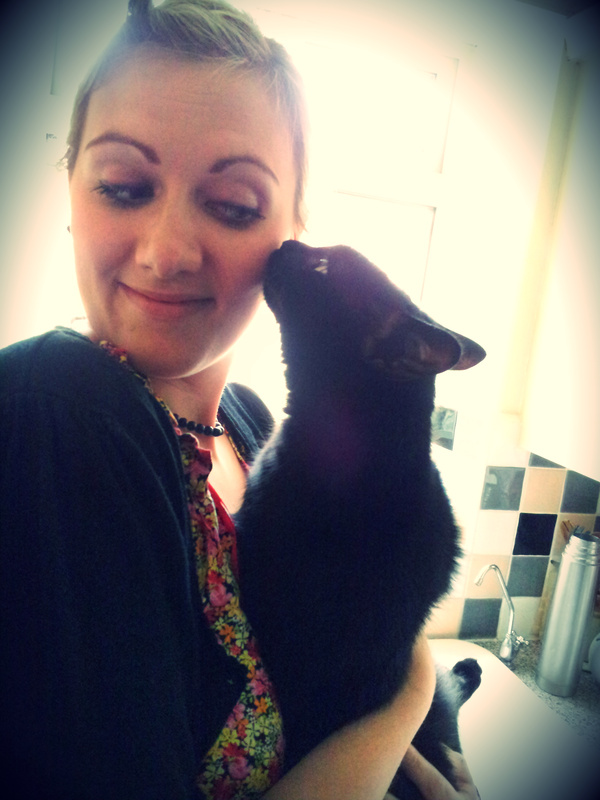 It took me just a little research to realise that pet sitting would be a full time job. I never do things half-heartedly for one – but every day is different and animals can be very unpredictable! It’s a huge responsibility promising to look after someone’s pet which involves going to vets during work hours – and those expensive emergency call outs too. Apart from that, deciding whether to get in touch with owners when they’re on a day trip because their dog looked a little lacklustre than normal – it all adds to the responsibility. I’m a natural born worrier! However, being available 24/7, 7 days a week, 365 days a year (apart from when I try to go on holiday!) 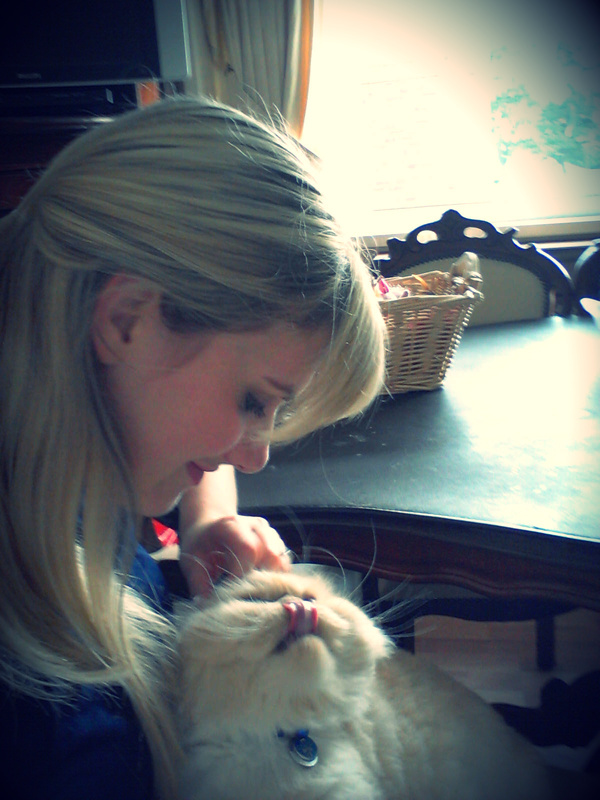 means that you know my first priority is pet sitting. For those Downtown Abbey watchers you may have heard Maggie Smith saying ‘What’s a weekend?’ – well that’s me in reverse – I’m Whitburn Whiskering every day! I work with lots and lots of pet parents when they need to be away and I’m learning new things all the time – no two pets are the same and that’s the point of Whitburn Whiskers! I’ll take the time to learn each of your pet’s personalities and tailor my visits to their little quirks and habits – whilst also being bitten, scratched and hissed at along the way! Then there’s the stomach bugs, peculiar toilet habits, hairballs, old age, all sorts of other biological loveliness – or my favourite – dogs that give up halfway through the walk and it’ll be a toss between the carry home/ shuffle and stop method. There’s few things in life that can beat the company of a cat nap. My memories of the London Olympics include sitting on a comfy sofa watching them with Wilma every day! I love trying to take photos of pets looking happy and comfortable at home – and sometimes the odd funny photo! I’m told there’s nothing like returning from holiday and knowing your furry friend has enjoyed themselves – and it’ll make your next holiday or short break even better. Working for myself – being my own boss so to speak is lovely. Of course, in reality – your pets become my boss. They soon settle into letting me know exactly what I should be doing when I come to visit! When Mr Whiskers is home he often comes along with me and this is great for pets who want even more attention! Or for being the official Whitburn Whiskers photographer! It’s lovely to see something you’ve put so much effort into grow. I spent hours and days and almost certainly weeks learning about how to make and design your own website, how to buy domain names and route them… well, let’s say I won’t be doing it again in a hurry! I’m happy every time I get a comment or a like on our facebook page – like a proud mother when someone compliments a lovely looking pet I’ve looked after. This might be a little unexpected – but I hate, hate, hate front door keys! It’s never happened to me *touch wood* but other pet sitters tell horror stories of keys getting stuck in locks and breaking – or something I always try to check – being given the wrong door key. Nobody ever wants to have to ring and inconvenience an emergency contact. The phrase “whatever the weather” is also very relevant! Rain I can handle, but flood and snow warnings send me flocking to my address book to make sure all my wards are safe! And finally, one of the hardest things can be advertising – especially for a local business that is really trying to push the personal touch. I don’t want to be a pest or bother people who are trying to eat their tea. It’s really hard to work out what works without spending lots of money in the process so with all that in mind, word of mouth is by far the best way – and depends on our lovely clients chatting about us to their friends and families (hint, hint!). 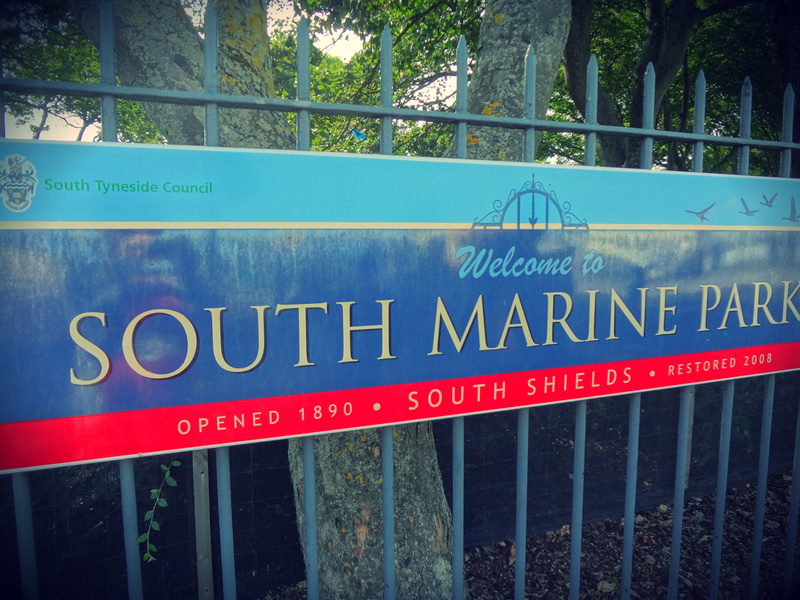 So there you go – a little bit more information about me – and hopefully a bit more information about what it’s like to be a pet sitter in Sunderland and South Shields. Remember to look at our facebook page for pictures of happy pets – the proof is in the pudding as they say! South Shields pet sitter gets rare day off! Read all about it! Read all about it! “We’re all going on a summer holiday, no more working for a week or two!”… Well, not quite! – however this Saturday I had an extremely rare morning and afternoon off and I celebrated with a lovely lie in (bliss!). 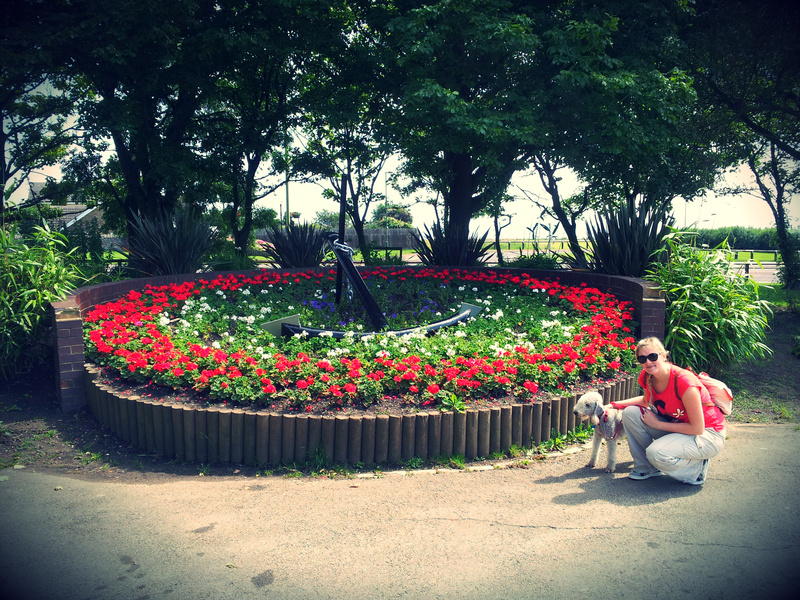 As a treat Mr Whiskers took ME for a walk in our very own sunny South Shields. Being a pet sitter, Saturdays off are a thing to be coveted – even more so in the summertime! So why not treat it as a holiday? Off we headed to South Marine Park to catch up with some long-lost sunshine. Once parked, we just followed the sound of rat pack and swing music to the bandstand! 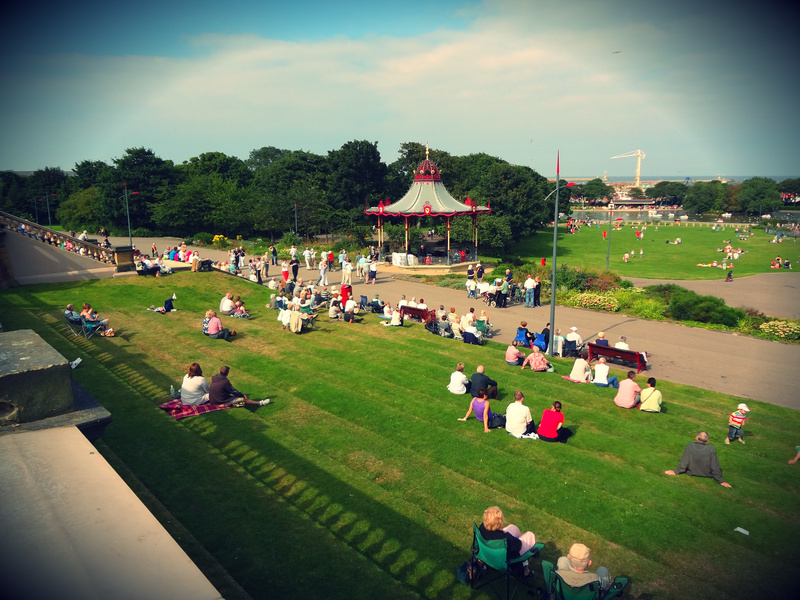 A really lovely afternoon spent watching the Little Big Band perform and local couples dancing in the park. Mr Whiskers didn’t fancy joining in – but I may consider bringing our own folding chairs next time! We had a stroll about and enjoyed all the hard work invested in making the park look beautiful. 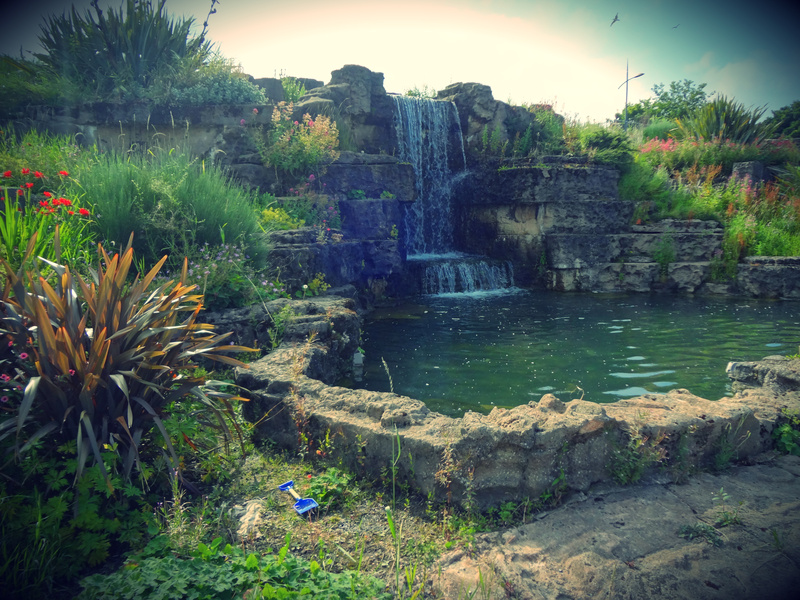 I do think the little spade left at the waterfall was what made this picture though! There’s been a huge investment in the park in recent years and lovely to see the input from local schools where children have helped to make a new art trail. We also spotted this engraved poem positioned next to the boat house; “Put 200g of purple in a bowl. Add three teaspoons of a Robin whistling. Pour in the smell of perfume with the taste of chocolate cake. Share it with friends in goodness”. 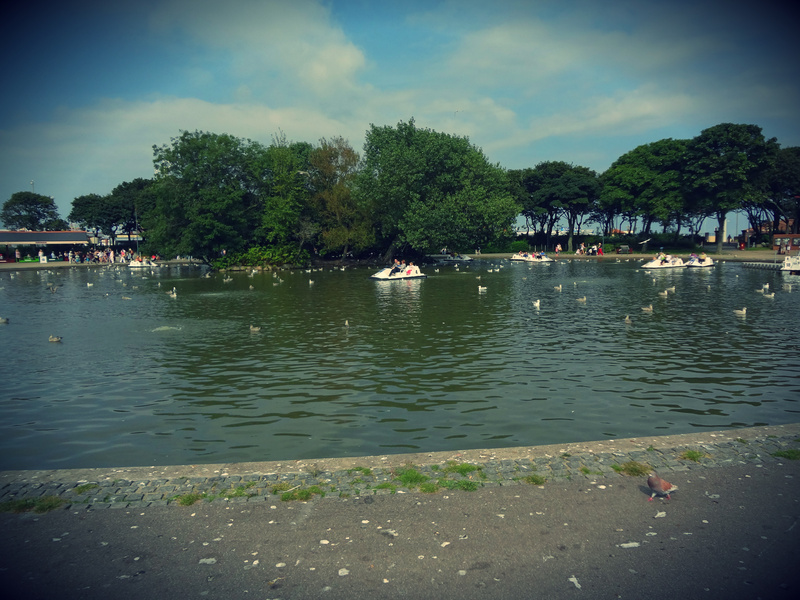 Mind you… when I was a bairn… the miniature railway and paddle boat lake were all I needed from South Shields! As long as we had bread for the birds, blankets and a picnic we were all set. 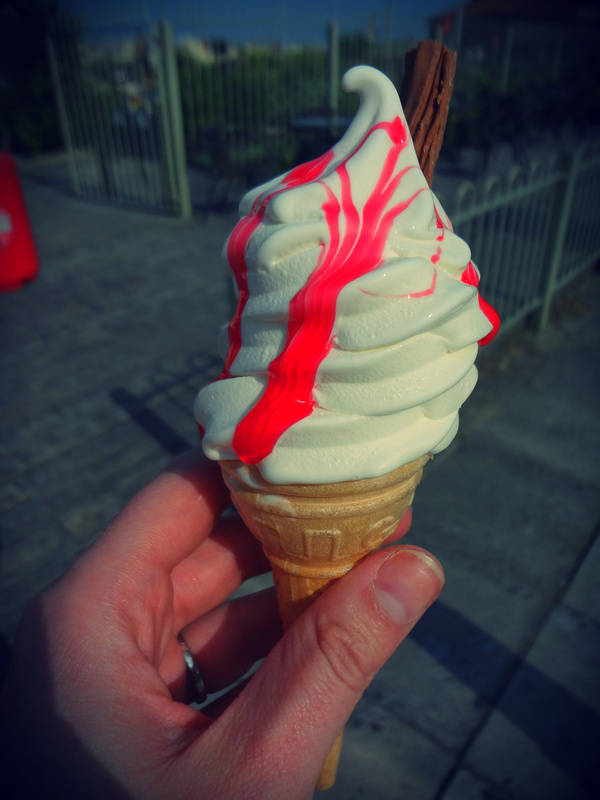 Oh, and an ice cream of course! So there you have it – it may not have been a very long summer holiday – but Whitburn Whiskers enjoyed it all the same!